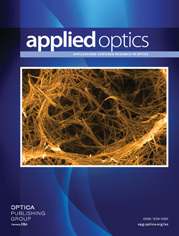 The authors are with the Applied Optics Laboratory, Department of Physics, Indian Institute of Technology, Madras 600 036, India. Some new configurations of a wedge-plate interferometer are described that use two wedge plates for collimation testing with a built-in reference unlike a single wedge plate for which an external reference is required. Theory and measurement results are presented. a f is the nominal focal length of the test lens, s is the standard deviation of ten repeated collimation settings, Δf is the minimum shift of the lens on either side of the collimation setting for which decollimation can just be detected by observing the lack of parallelism between the fringes.